Are you ready to enter the Black Hall? 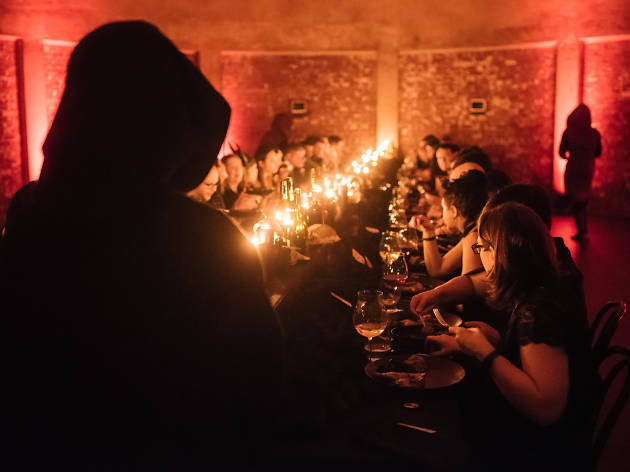 Last year, a group of brave souls embarked on the Feast of the Deceiver; an event that blends participatory experiences and performances with a six-course feast. They emerged from the Black Hall raving about what they had seen and done; and, without giving too much away, a little different from before they had entered. This April, the Black Hall will return to Melbourne for three nights. 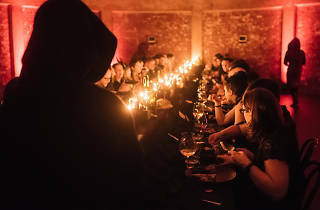 Your ticket gets you a cocktail on arrival, a six-course degustation, free-flowing wine and a place in the immersive game that will unfold during the night. Dress code is formal black, and you can't expect to sit with anyone you came in with. The menu is set and does not cater to any food intolerances or dietary variations. Tickets to the Feast of the Deceiver are now on sale, and are expected to sell out. The location is revealed just 24 hours before the event.